Walter is Managing Director and co-founder of TPMA. 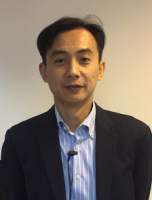 He is in charge of strategic business planning across HK, China, Australia and SE Asia. His role has specific focus on pursuits in Public Private Partnerships projects in China and overseas and, merging and acquisitions of engineering consultants in Australia and Singapore. 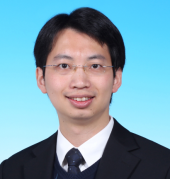 Formerly, Walter Chan was Project Deputy General Manager with Shenzhen Everbright City Development Co. Ltd. China, responsible for the PPP financing solution and feasibility study of the Shenzhen Metro Line 3 East Extension, a Rail + Property model. He is also the Chairman of the Institution of Public Private Partnerships in Hong Kong advocating to create a platform for our members to maximize the PPP opportunities overseas and China. KM is Chairman and co-founder of TPMA, which specialises in Public Private Partnership on project development and management, and Mergers and Acquisitions of engineering practices in Hong Kong, China, Australia and South East Asia. 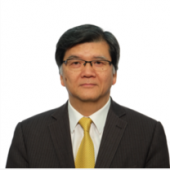 He has more than 38 years professional experience in providing integrated solutions in studies, planning, design and construction of infrastructure, buildings and new towns in Hong Kong, China, Singapore and Canada. KM was Managing Director with Mott MacDonald Hong Kong Ltd between 2005 and 2013 and was Chairman before retiring in 2015. 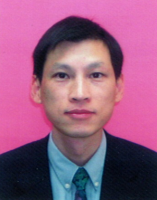 Mr. Ken Tong has high qualification and experience in the engineering field. He has obtained a Master Degree in Mechanical Engineering and has over 10 years experience in CAD application. In addition, he has accumulated over 5 years’ expertise in BIM implementation, and was involved in various BIM projects, such as 4D and construction simulation for Kai Tak Phase 1A, BIM for McDonald Japan and 4D Modelling of Cathay New Cargo Terminal. He was appointed as independent non-executive director of Gameone Holdings Limited (stock code 8282), Basetrophy Group Holdings Limited (stock code 8460), and A & S Group (Holdings) Limited (stock code 1737) in 2016, 2017 and 2018 respectively. Mr Iu is a Chartered Management Accountant and a Chartered Surveyor with diverse experience in accounting, finance, valuation, project management and consulting. He is a fellow of the Chartered Institute of Management Accountants, the Hong Kong Institute of Certified Public Accountants, the Hong Kong Institute of Directors and the Geological Society of London. He is also a member of the Australasian Institute of Mining and Metallurgy, the Canadian Institute of Mining, Metallurgy and Petroleum, the Geological Society of America, the Institute of Electrical and Electronics Engineers, Inc., the Royal Institution of Chartered Surveyors, and the Society of Economic Geologists. He was a member (1994-2004) and the President (2001-2002) of the Council of the Hong Kong Division of the Chartered Institute of Management Accountants, a member (2003-2009) of the Solicitors Disciplinary Tribunal Panel, and currently holds an adjunct appointment at the Centennial College, an independent college established by the University of Hong Kong. 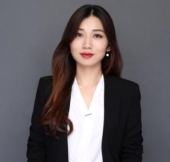 Moon is currently General Manager of TPMA Consulting and TPMA Academy. Since 2016, she has been a founding member of the Institution of Public and Private Partnership (IPPP) in Hong Kong and she serves as the assistant treasurer since the inauguration of the IPPP. In 2017, she participated in the Chinese translation of the PPP Certification Program Guide published jointly by the World Bank Group, the Asian Development bank, the European Bank for Reconstruction and Development, the Inter-American Development Bank and the Islamic Development Bank, and later has become the editor in chief of the translation. Moon joined TPMA in 2017 and serves as General Manager of TPMA. She was responsible for PPP projects, project management and merger and acquisitions in Greater China region. 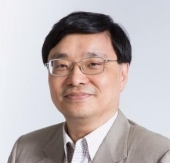 Mr.Elvis Li is the CEO and Director of isBIM Limited, the leading Building Information Modeling (BIM) consultant in Hong Kong, Taiwan and China. Over the years, Elvis has extensive experience of planning and implementing BIM(Building Information Modeling) and CMC (Construction Modelling and Control) projects. Elvis has extensive BIM project experience since 2003. Collaborating his experience and knowledge from different fields of the industry, Elvis has successfully created and implemented a series of “BIM assisted” services for building and civil industry from feasibility study, complex geometry modelling, design coordination, 4D simulation, BIM-based quantity take off to facility management phase for over 160 BIM projects in Hong Kong, Shanghai, Beijing, Tokyo, Seoul and Mumbai. Albert K.H. Kwan is a professor in the Department of Civil Engineering, The University of Hong Kong. He had been Associate Dean of Faculty of Engineering for seven years and Head of Department of Civil Engineering for three years. He was the specialist sub-consultant when the new Hong Kong Concrete code was drafted and has written an explanatory handbook on the code. He also served as a specialist sub-consultant again to help incorporate the use of high-strength concrete into the new Singapore Concrete Code. 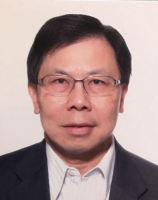 Mr Liu is a Chartered Civil Engineer with 10 years’ experience working with contractors and consultancy firms before joining the HKSAR Government in the offices of Highways Department, the then Civil Engineering Departments and Works Bureau for over 11 years. 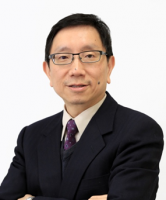 Mr. Liu is now a qualified Barrister and Arbitrator specializing in construction disputes in both Court and Arbitration Proceedings for more than 10 years. Mr. Liu is also practicing as an engineering consultant for engineering design and demolition works. Francis is a Director of Systra MVA with over 30 years wide ranging experience in traffic and transportation engineering, planning and project management of large scale government and private sector projects acquired in the UK, Hong Kong, Macau, Mainland China and other Asian countries, MENA (Egypt, UAE, Saudi Arabia, Bahrain and Qatar), Saipan Island, CNMI and Mexico. Prior to joining MVA, he was a public servant in the Royal Borough of Kensington & Chelsea, London looking after traffic management in the district. He also provides transport related strategic advisory services to public and private sectors in Asia. He graduated from City University of London. He is a Chartered Fellow of the Chartered Institute of Logistic and Transport, Chartered Member of the Chartered Institute of Highways and Transportation (UK), Founder Member and Fellow of the Hong Kong Institution of Highways & Transportation, Member of the Hong Kong Institute of Engineers, Registered Principal of the Association of Consulting Engineers of Hong Kong, Honorary Treasure of Association of Consulting Engineers, Hong Kong (2015-18), Convener of Urban Space New Initiatives Working Group, Research and Publicity Committee CRECCHKI (2015-2018), Member, Review Panel under the Land (Miscellaneous Provisions) Ordinance, Development Bureau, HKSAR Government (2016-19) and Member of the International Scientific Review Panel (ISRP), World Sustainable Built Environment Conference 2017 Hong Kong. Wilson HW Chan has over 30 years of international experience in major infrastructure, metro & railway, passenger terminal, high speed rail depot; and mega scale commercial buildings in Hong Kong, China, Macau, Taiwan, Singapore, South Korea, Sydney, Perth, Melbourne and Middle East. Wilson graduated from the University of Hong Kong in 1985 with a degree in Mechanical Engineering and in 1995 a Master degree in Building Services Engineering. Wilson is currently the Managing Director of the MEP business line of an International Consulting Practice. Wilson is working on application of green building initiatives to construction projects, including the Third Runway Concourse, and West Kowloon Cultural District Integrated Basement. Wilson also represented ACEHK in serving the task group in the implementation of the Building Energy Code in 2009 to 2012. 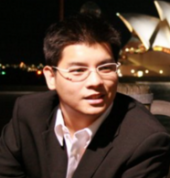 David Yau is General Manager(Hong kong projects) of Longfor Properties Co Ltd. 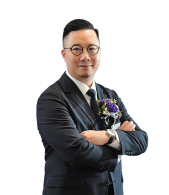 Prior to 2017, David was the Director of Operations Department with Vanke Property (HK) Co Ltd for 3.5 years being responsible for their HK and Singapore Operations, and a Deputy General Manager (Project Management Department) with Henderson Land Development for 14years. He graduated with degrees in Engineering from the Universities of Leicester and Leeds respectively, and is a Chartered Civil Engineer with over 30 years’ experience in property development, project management and civil engineering fields. 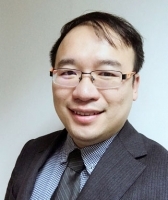 Ir Dr Kevin Kin-lam SO has over twenty years of experience in engineering and tertiary education. He has extensive educational administration and engineering management experience including project review, technical feasibility and financial viability studies, design and construction supervision and so on. He is the former Assistant Director (academic and development) of Li Ka Shing Institute of Professional and Continuing Education, the Open University of Hong Kong. Prior to joining the University, he worked for a multinational engineering consultancy and the largest professional education and training institution in Hong Kong. He graduated from the Hong Kong University of Science and Technology with Bachelor’s, Master’s and Ph.D. degrees in civil engineering. His research interests include business development, infrastructure and project finance, corporate change, project management, life cycle management, risk analysis and so forth. Mr. Lee had been employed as a Senior Manager working at the Asia Pacific headquarter of the U.S. Commonwealth Business Media Inc., the world’s largest Commercial-Intelligence database provider and analyzer authorized by Custom of U.S., India, Korea, Mexico and China. He later on joined a Sino-U.S. JV company, which was China’s largest manifest information provider as their General Manager for the Southern China Region responsible for the operation and management of two profit centers in Guangzhou and Shenzhen. Mr. Lee had also been employed as a Chief Representative & Director of China Region of the world’s first Franchising Consultancy Services Company that was awarded ISO: 9001 Quality of Service International Authentication. During that time, he was the China Chief Advisor of the Licensing & Franchising Association of HK. With extensive experience, multiple exposures and business connections for more than 20 years, Mr. Lee is providing professional services for several corporations. 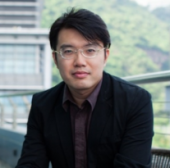 Professor Jack Cheng is currently an Associate Professor in the Department of Civil and Environmental Engineering and the Director of RFID Center at the Hong Kong University of Science and Technology (HKUST). He obtained his PhD degree in Civil Engineering from Stanford University. His research interests include BIM, 3D GIS, Internet of Things (IoT), construction and facility management, data mining, smart city, green buildings, and carbon auditing. Besides obtaining research funding from RGC and ITF, he has been commissioned by a number of government departments and industry partners to conduct various applied research projects. He is currently the Chairman of Autodesk Industry Advisory Board (AIAB), Chair of American Society of Civil Engineers (ASCE) Global Center for Excellence in Computing, Treasurer and Director of ASCE Hong Kong Section, Alternate Director of Hong Kong R&D Center for LSCM, Co-opted Member of CIC BIM Committee, and Editor or Editorial Board Member of several international journals. Waiky Leung has the academic background and working experiences in computing, IT, Finance, as well as architectural, engineering and construction industries. He has been working with several great innovative and technology companies like Intergraph, IBM, Wisers Information, and Autodesk. He is proud to be a starting pitcher in the sales team of Autodesk. His goal is to always listen first, learn and then apply creative thinking and collaboration to business engagements. He enjoys business challenges of all sizes and bring the right mix of people and technology to address customer needs. At Autodesk, artificial intelligence (AI), cloud, mobile, social and big data technologies are revolutionizing the industries we serve. From Architecture, Engineering and Construction (AEC), to Manufacturing, to Media and Entertainment (M&E) – each of these industries are undergoing profound transformations. We are also playing a major role in emerging technologies, such as additive manufacturing (3D printing), IoT sensors (the internet of things), and biotechnology. As our customer shape the world around us in the form of buildings, movies, games and more, we are revamping our portfolio for The Future of Making Things. We are unique positioned to create the next generation of tools for designers and makers, and I am excited to help lead my customers through this transition. Jason is the founder of Ulpha Group. He has been engaged in the financial, information technology and marketing industries for more than 20 years. 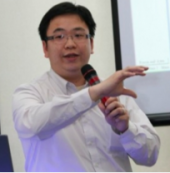 He is familiar with Hong Kong corporate finance projects, information technology, big data and e-commerce business. After years of development, Ulpha Group has become the leading Marketing Agency & Consultant Group in Macau. The business involves the integration of various areas of marketing promotion which includes brand management and development, traditional media agency, online marketing, advertising production, public relations and e-commerce consultant. David is currently Chief Operating Officer of TPMA Consulting Ltd. Prior to this, David was General Manager in Engineering with MTR Hong Kong. He has extensive experience in railway maintenance and operations. Within his over 32 years of working in Hong Kong MTR Corporation, David had taken up several senior positions including General Manager – Infrastructure and General manager – Technical & Engineering Services. He then became the Chief of Operations Engineering between 2011 and 2013 responsible for the overall asset management of the whole operational railway system in Hong Kong. The railway assets managed include rolling stock, permanent way, signalling, power distribution, communication, automatic fare collection as well as railway structures. David was also the head of a PPP railway project for the construction and operations of a railway line in China. He was also involved in other overseas projects in Europe and the Middle East. 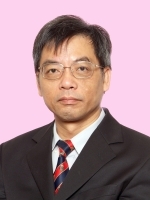 Prof. Man-wai CHAN is a Chartered Surveyor (FRICS and FHKIS) by profession. He has many years’ experience in development, construction project and facilities management in private and public sectors both locally and overseas. Prof. Chan was the Executive Director (Project Delivery) of the West Kowloon Cultural District Authority (WKCDA) of Hong Kong. Prior to joining the WKCDA, he was the Vice President (Projects and Facilities) of the Hong Kong Science and Technology Parks Corporation. He oversaw the planning, development, construction and facilities management of the Hong Kong Science Parks, Innocentre and Industrial Estates. 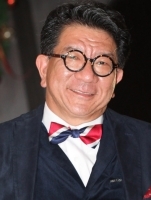 He is the Founding President of the Hong Kong Institute of Facility Management (HKIFM). In 2007, he received the Distinguished Building Surveyor award by The Hong Kong Institute of Surveyors. 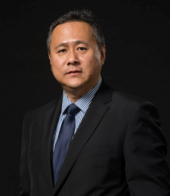 Having joined Aedas Group in 2006, TF Wong is currently the Group Chief Operating Officer of Aedas, with the specific role of overseeing Administration, Contracts, Human Resources and Finance functions throughout our offices in Asia, the United States, United Kingdom and Middle East. Prior to becoming part of Aedas, TF worked as the Deputy General Manager of a giant construction corporation between 1999 and 2006, and was involved in projects with a total contract value of more than HK$13 billion. Besides, he was a professional in compliance, especially in providing ISO 9000, ISO 14000, TQM, as well as BPR strategic and corporate development consultancy services. He also acted as the Nominated Assessor for the 1999 Hong Kong Award for Industry: Quality, organised by the Trade and Industry Department of Hong Kong Special Administrative Region. TF’s legal expertise and managerial acumen, together with his over 25 years’ experience in the engineering, technical, legal and management fields, have significantly strengthened Aedas’ worldwide operations.